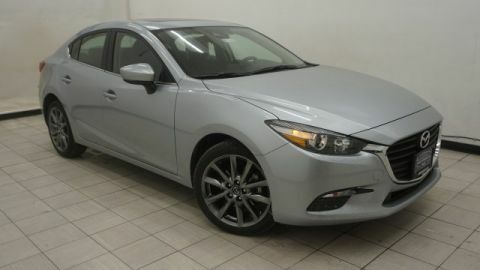 What makes the Mazda 3 so popular with drivers looking for a great full-size car? In short, the Mazda3 is basically a chameleon that offers something for everyone. The 2018 model is no exception. 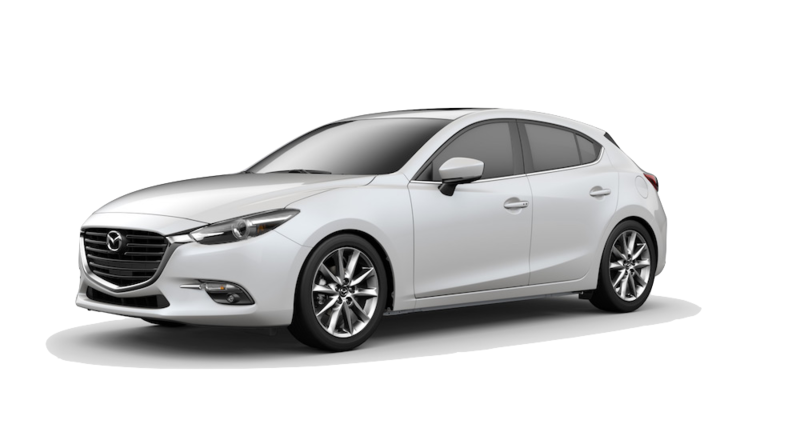 Retaining much of the features and trims from the previous model year, the 2018 Mazda3 is a platform that offers plenty of standard and optional features with the power and performance most people expect from a full-size sedan. It also comes in several body styles should you prefer a four-door sedan or five-door station wagon setup. Fuel efficiency is one of the highlights of this car. Ranging between 25/34 and 28/38 MPG (city/highway), the Mazda3 is a leader in its class when it comes to fuel economy, especially for the station wagon version. While the car isn’t meant to tow or haul the things full-size trucks can handle, its engine options average around 155 horsepower and 150 pound-feet of torque for some light towing or trailering. 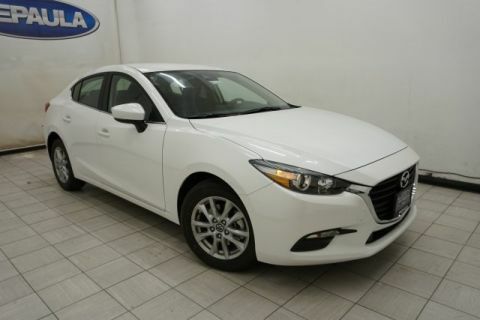 The real attractiveness of the Mazda3 comes from the large number of trim levels that offer a variety of automatic and manual transmissions, safety options, and convenience features. Together, these different options allow customers to find their preferred package without having to spend extra on useless features. Pricing starts at $18,095 for the base trim. The Mazda3 includes many convenient and safety features that make driving the car more enjoyable and safe at the same time. Given Mazda’s history for pushing the envelope when it comes to the number of features that are standard, it’s no surprise that the Mazda3 has several features that either don’t exist or are additional options on other comparable cars from rival brands. In the area of safety, the Mazda3 is geared for safe driving by expanding the driver’s awareness while operating the vehicle. Beyond the standard airbag setup that includes front and side passenger/driver airbags, standard safety features include a rear backup camera, four-wheel ABS disc brakes, basic brake assistant, and an intelligent stability control for maintaining traction through turns. The car’s Smart City Brake Support is a notable feature that provides automatic braking at slower speeds (under 20 mph). Considering most forward collision prevention systems only work at highway speeds, this is a good addition for increasing safety in town and urban environments. One notable safety feature that is rather unique to Mazda is a heads-up display in front of the driver. Using a glass pane, the optional display will project important information such as speed directly onto the panel. This creates the effect of floating information above the steering wheel so the driver can read the display without having to glance away from the road. The display is somewhat customizable so the driver can tailor the information to their personal preferences. Convenience features include a number of standard and optional additions inside the cabin. Standard features include a push-button start to speed up ignition, a six-speaker audio system, and Bluetooth connectivity with any compatible smart device with USB port charging support. Higher trims also come with optional features such as a built-in navigation system, moonroof, voice control, dual-zone climate control, and an upgraded HD audio system. The infotainment system uses Mazda’s Connect interface on a 7-inch display. The overall design of the 2018 Mazda3 uses Mazda’s KODO design language that emphasizes streamlined curves over spacious angles found on larger trucks and SUVs. In many ways, the Mazda3 is a shrunken version of the larger CX-5 with a similar front and rear look. Despite the curvy nature of the exterior, the car deceptively hides a roomy interior filled with many safety and convenience features that will make the driving experience better overall. The exterior design profile emphasizes a long and narrow look that allows the car to cut through the air more easily than standard sedans and station wagons. In short, you can call the look of the Mazda3 “sleek.” The nose is long and slender with the narrow headlights and turn signals that define Mazda’s signature exterior look. The passenger section curves upwards to maximize headroom. In the end, the two body styles of the Mazda3 diverge. The sedan swoops down to a large-yet-minimally-present trunk. The station wagon retains some of the height of the passenger section before ending at the rear hatch. Due to the dramatic curvature of the Mazda3’s passenger section, the inside is roomy with plenty of headroom and legroom. Both body styles emphasize more room in the front so taller passengers can sit comfortably without knocking into the dashboard or steering wheel. The rear seats are smaller but can still comfortably hold three passengers without feeling cramped in the knee area. For people wanting the most in terms of cargo capacity, the station wagon is the obvious winner. The extra height in the rear section is great for awkward or tall objects that have no hope of fitting in the sedan’s trunk. The split rear folding seats can also extend the maximum amount of cargo space for longer items as well. The basic focus of the Mazda3’s engine and drivetrain options are all about fuel efficiency over performance. This isn’t a sports car. At the same time, it doesn’t guzzle gas like one either. Instead, the Mazda3 powertrain tries to maximize the fuel economy of the vehicle regardless of the trim or engine. Coming in two engine options with a horsepower range of 155-184, it is also no slouch when it comes to power as well. The base option is a 2.0L four-cylinder engine that offers 155 horsepower and 150 pound-feet of torque. Depending on the body style, this engine option offers the maximum amount of fuel efficiency, topping out at 28/38 MPG city/highway in the sedan. 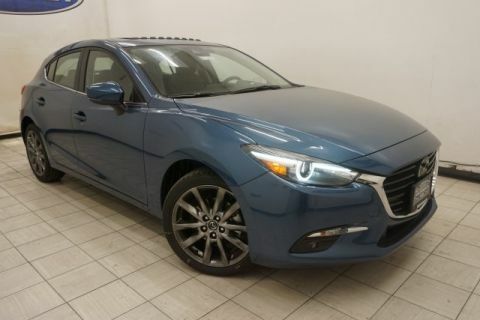 The station wagon Mazda3 has a slightly lower fuel efficiency since its rear is less aerodynamic, but it still manages an outstanding 27/37 MPG with this engine option. For people wanting more power, the 2.5L four-cylinder engine offers 184 horsepower and 185 pound-feet of torque at the expense of some fuel economy. Coming standard on the Touring and Grand Touring trims, the engine can provide up to 27/36 MPG on the sedan model or 25/33 MPG for the station wagon. This is the option to choose when performance is more important than the car’s overall efficiency. Regardless of the body style or trim, the Mazda3 only comes with a forward wheel drivetrain that maximizes fuel efficiency at the expense of greater traction control in challenging driving situations. Each trim also comes with the option of either an automatic or manual transmission depending on the customer’s preferred driving style and experience. 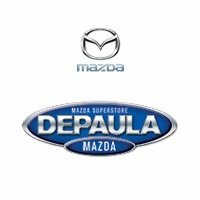 DePaula Mazda is all about providing quality service, great vehicles, and a personal touch while you go through the process of buying a new car. That is why we make the process easy on you by taking care of all the hard work. When you come onto our lot or visit our website, you will immediately have access to any and all of the help/information you need. Our staff can help you determine what vehicles will best fit your needs. From there, we can also provide assistance with financing, trade-ins, test drives, and more. 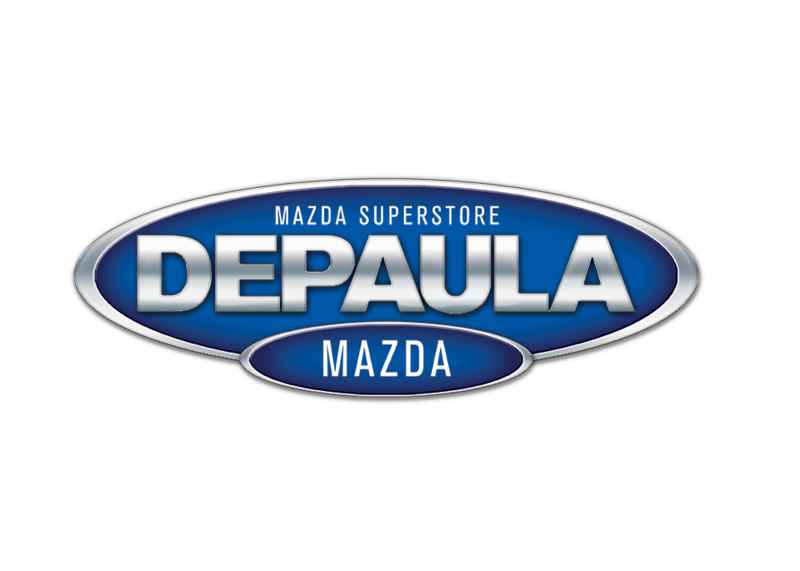 Our website is also full of information and helpful tools such as our monthly payment calculator, used car inventory, and a current list of all the latest Mazda models. 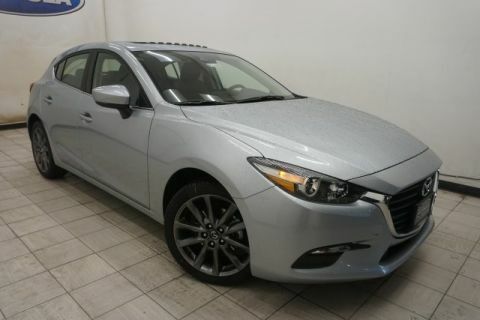 We sell the Mazda3 right here in Albany, NY, so come on down today for a test drive.